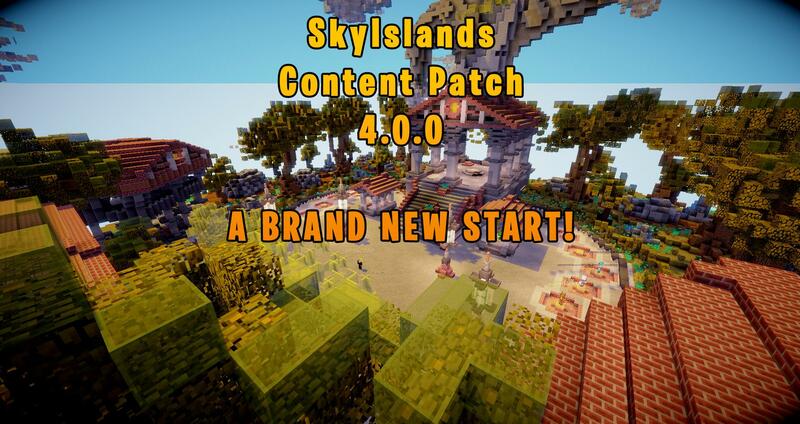 Welcome to the official Content Patch 4.0.0 of SkyIslands Season 4! Before i start with this content patch, i would like to say that, we have a lot planned for this season regarding Content Patches and a whole lot more. We are open to suggestions on what to add to the server in our community discord. The basic features have stayed on the server, however, a few new features have been added to make it more enjoyable to play. One of the most requested features last season was an Island Bank. 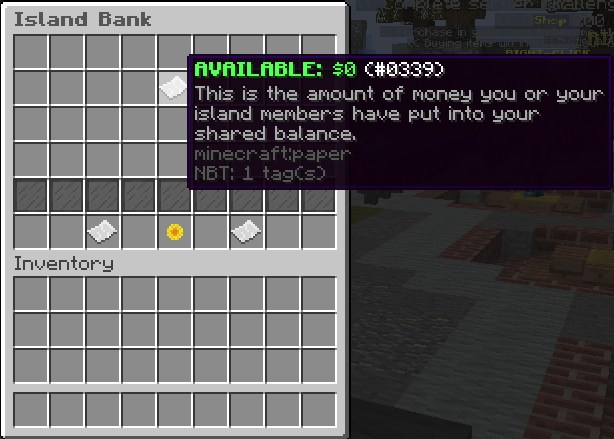 An island bank is essentially an addon to SkyBlock which allows you or your island members to add money into a shared bank in which your island can add/remove money from. The island bank can be opened with the command /Island Bank. 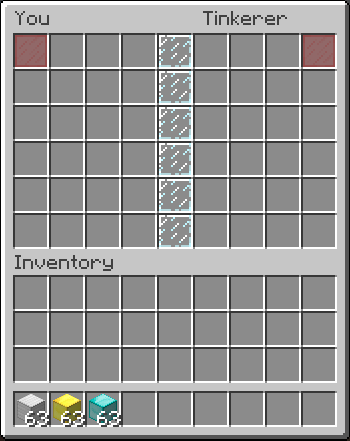 The block stacking feature has made its way back to the server. This feature was disabled early within last season due to a few bugs and glitches. However, it has now returned with a few extra features which prevents the glitches from occuring. The Island Border now has an option to be disabled for you within a toggle GUI. Disabling the border will increase player frame rate but also comes handy when a player wants to see how big and how much space they have left on their island. The BlockStacking and IslandBorder feature can be enabled/disabled in the /TOGGLE gui. Finally. Custom Enchants are now on the server. 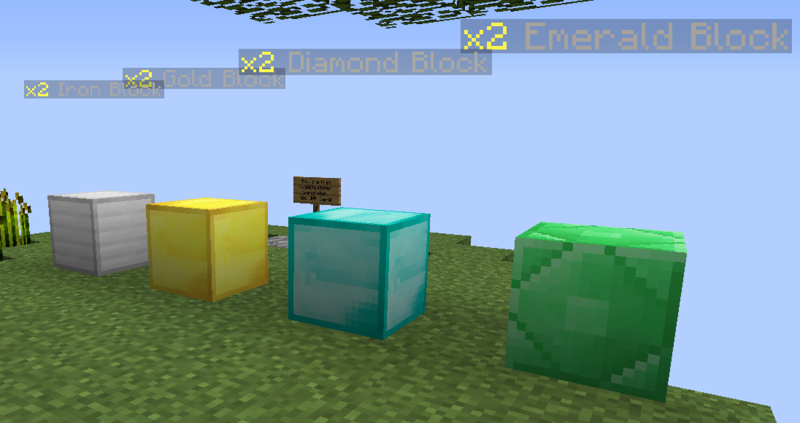 Custom Enchant is an addon for PvP and other aspects of SkyBlock. It allows players to build up their own god set and power tools. 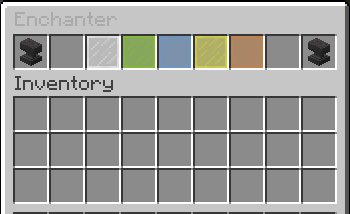 Located at spawn near the local NPC's is a Tinkerer which will allow you to trade in your useless books for enchant dust. There is also another NPC located near the server crates which will allow you to purchase enchant books for exp. We have listened to your ideas and suggestions. Crates on the server have now been BUFFED. This means that ALL server crates now have more OP rewards and have also had their price decreased on the server store. Each crate now has the ability to win you an in game rank. 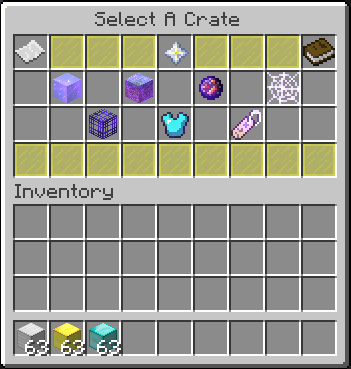 You can also open the crate gui with the command /CRATES. 3 New types of crates have been added. The first new crate is a Spawner Crate. This has the ability to give you any 3 of the top tier spawners at a 10% chance. The second crate is a Kit Crate which will allow you to win any of the server rank kits. The third crate is a Tag Crate which will allow you to spin and receive a random crate key. A brand new spawner has been added to the server. 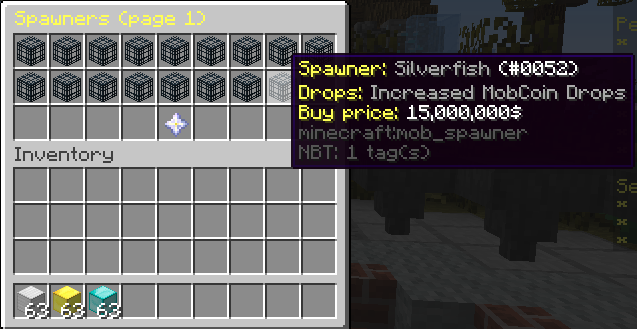 A silverfish spawner. This spawner has a HIGH chance to drop mobcoins and gives 15 million towards your island value. 3 whole new ranks have been added to the server. Two in which can be purchased with in-game money and the other from the server store. The ranks that can be purchased with in-game money come with extra command which will make it easier for players who can't donate to the server to have a more enjoyable time. 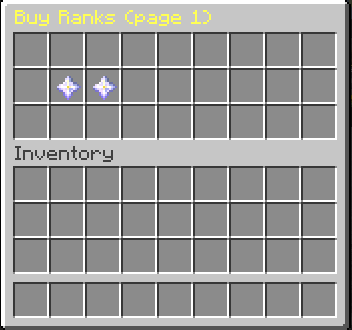 These ranks can be purchased with /Shop Ranks. The third rank is a rank which is now the HIGHEST rank on the server. This rank has more permissions and perks than any other rank on the server and will help towards your island top value. For this season, we have tried our best for it to be more 'farming based'. To do this, we have made cactus and other farming materials extremely good. Cactus sell price has been increased from $35 to $55. For now, this is all that has been added/changed on the server. 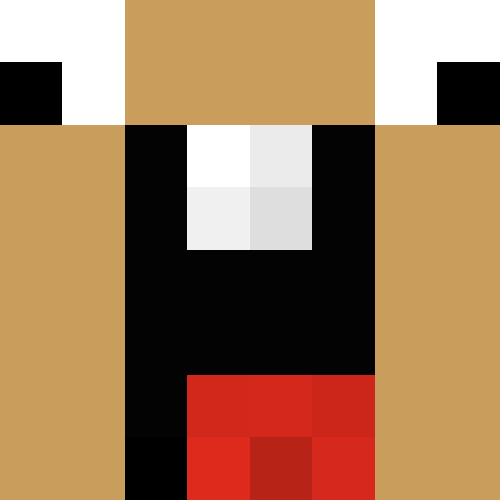 However, within the next week or two, this is what you should expect to see be added to the server. The server is releasing in 30 minutes so be prepared to hop online!